Is it time for Ash Tree Removal? Maybe EAB has killed it, a storm brought it down or maybe it just needs to go… Whatever the reason; A Tree Services is the Minnesota Tree Removal Company for the job. We understand performing a tree removal service takes effort, equipment, knowledge and time. We have all the necessary requirements and more! Contact us for a free tree removal quote at 612.724.6045.
Who doesn’t like free?! We certainly see many people grateful for our Free Tree Removal Estimates. We believe in empowering our clients so that they can be sure they are getting the best services, prices and professionals. Know what is best for you and have an ISA Certified Arborist inspect your ash tree for removal today. Did you know that Tree Care and Removal is one of the most dangerous occupations? It’s true. Every day is risky. There are many factors to consider when taking down an ash tree. Let’s go over a few. The Tree’s Condition – If a tree has been standing to rot, it is especially dangerous. There will likely be many weak spots that can change the direction of the trees fall at any moment. Controlling the Fall – To the left you may have your house, to the right is the garage. So it is imperative to work with a skilled tree removal pro so that they drop the tree exactly as planned. To avoid further property damage. Personal Safety – There are many branches and limbs that come down with the tree. Staying clear of these obstacles will prevent injuries and even death. Need an Ash Tree Removed in Minnesota? Call the professionals for a free estimate. No matter your property type, we are your solution! 612.724.6045. 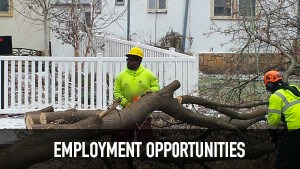 This entry was posted in Tree Removal and tagged Ash Tree Removal, MN Ash Tree Removal, Tree Removal MN. Bookmark the permalink.